This past week I had a "Get Away From the City" weekend with three girlfriends. Not that I needed a reason to bake, but I did. 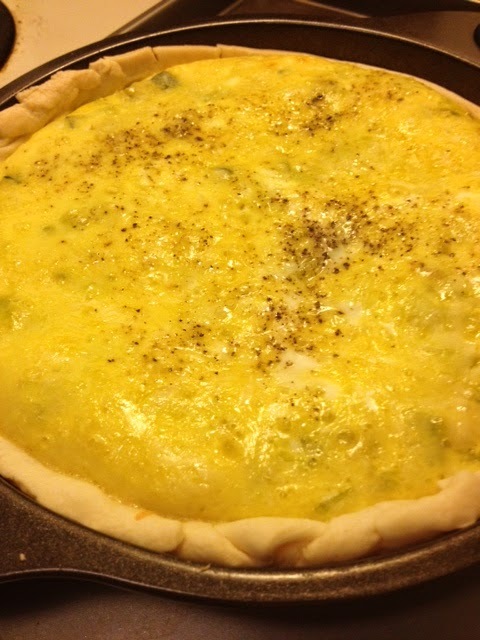 We ate every meal out except for Saturday morning where I provided my Blueberry-Lemon Muffins and this quiche. Start your day off with protein and veggies and you're off to a good start! Leeks are in the same family as onions and garlic and as such they grow up through the ground and collect dirt between their layers. 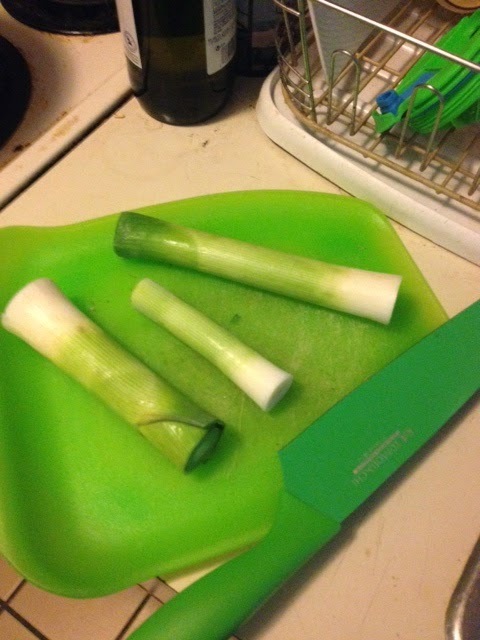 So cooking with leeks is a little bit of a process because you need to thoroughly wash them. You want to chop off the dark green parts because those are super tough to chew and not sweet like the bottom parts. Cut them into thin pieces and separate the rings in a deep bowl of water so the dirt can wash out. My mom always scolded me for playing with my food, but if it's not fun why do it? 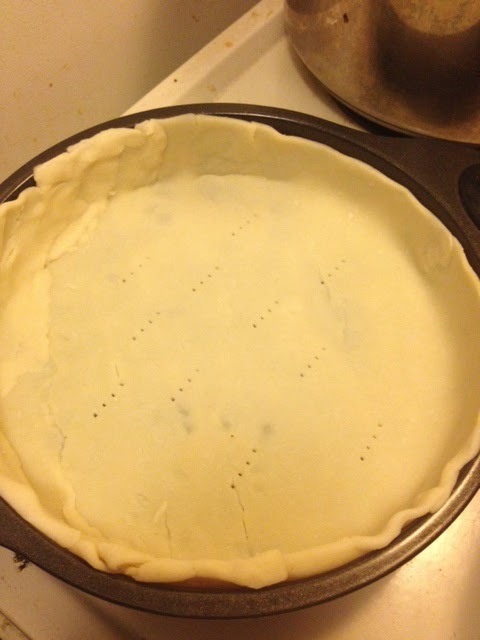 Press the softened, pre-made crust into a 9 inch pan, poke holes in the bottom and then put it back in the fridge to keep it cold until you're ready to fill it (it'll make for a flakier crust). 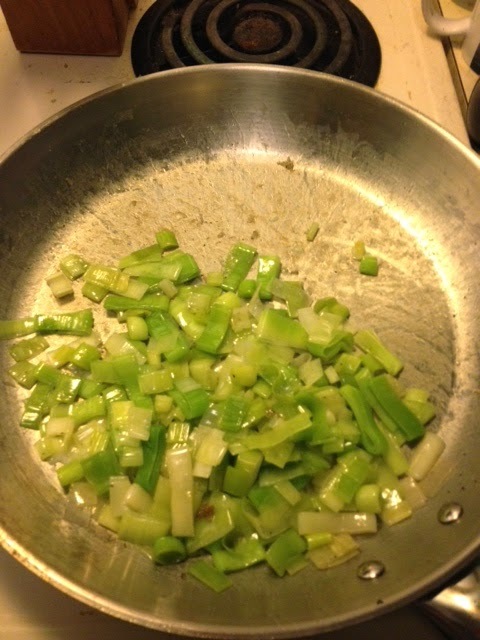 Saute the leeks with two tablespoons of butter for about 20 minutes on medium heat, until leeks have reduced by half, much like sauteing an onion. Season with salt and pepper. Set aside. 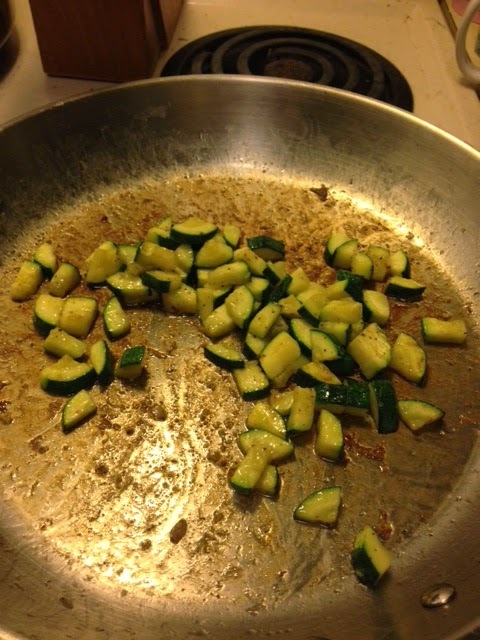 Saute chopped zucchini in 1 tablespoon butter until softened. Season with salt and pepper. 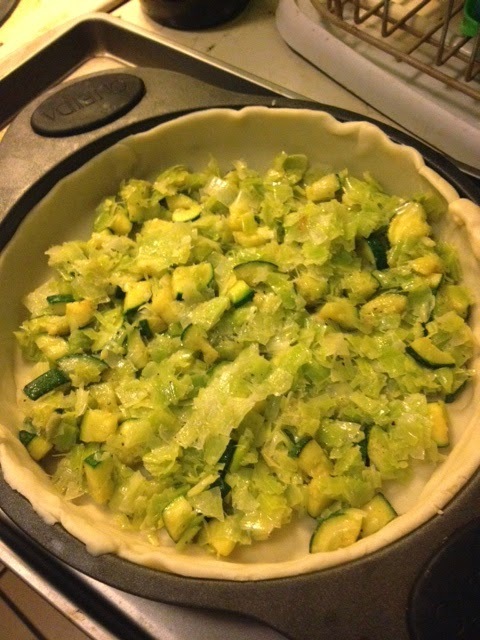 Pour veggies into cold pie crust. 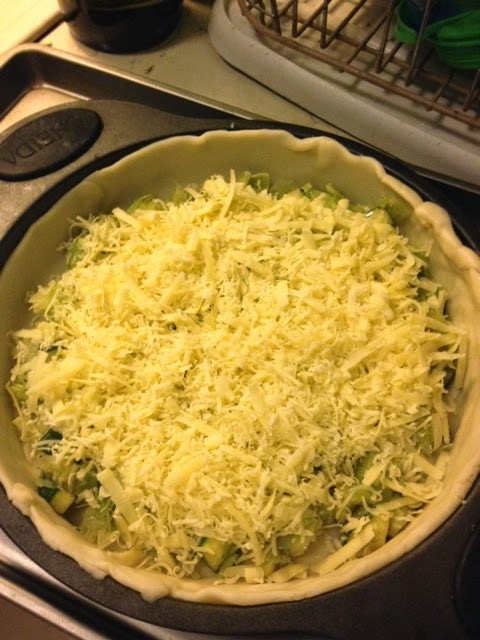 Add one cup of shredded cheese. In a small bowl whip eggs and milk with a fork (or whisk). Pour over veg. Bake at 325 degrees until eggs are firm. About 25 minutes, but keep your eyes on it. I then stuck it in the fridge overnight and transported it up north for our weekend. I reheated it in the oven for 15 minutes at 325 and served it right away. You can substitute any veggies in this. I was with picky eaters so these were the two veg we could all agree upon. Personally, I think it would be great with some roasted tomatoes, corn and beans and some pepperjack cheese, maybe even a teaspoon of red pepper flakes for a kick. But you can personalize it any way you like. yummmmm!! 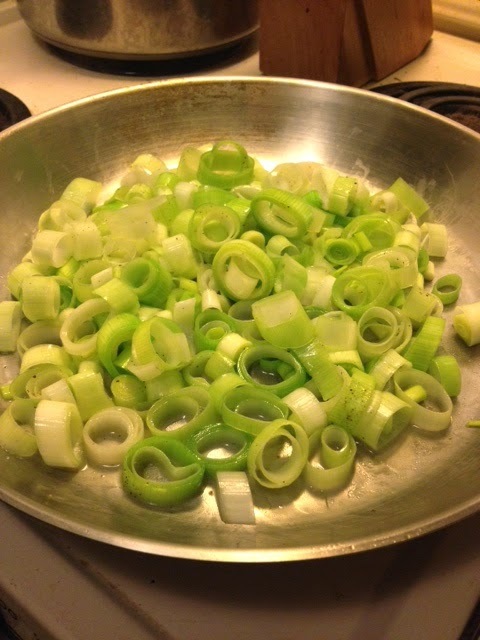 i onions and garlic are my fave--why have i never tried leeks? ?i must try this recipe asap! ps. 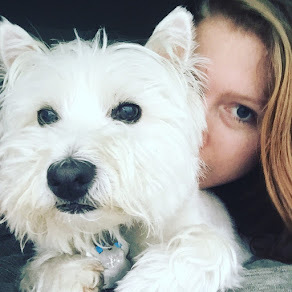 check out my amazing giveaway this week, girl! Sami, I would highly recommend trying a leek soup. Leeks can be so sweet and are underused. Give it a shot! 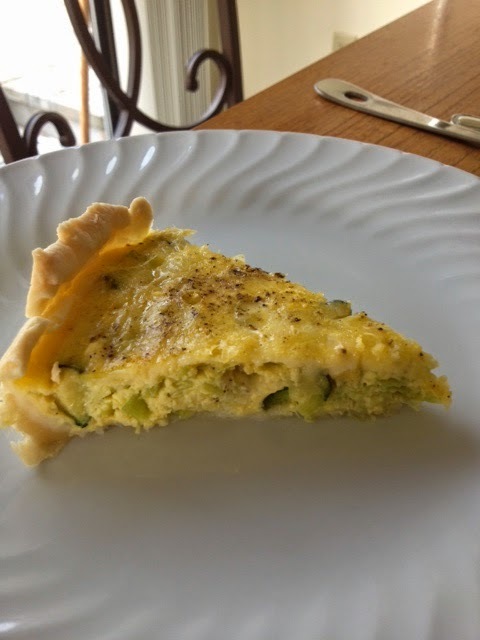 This quiche was super delicious! 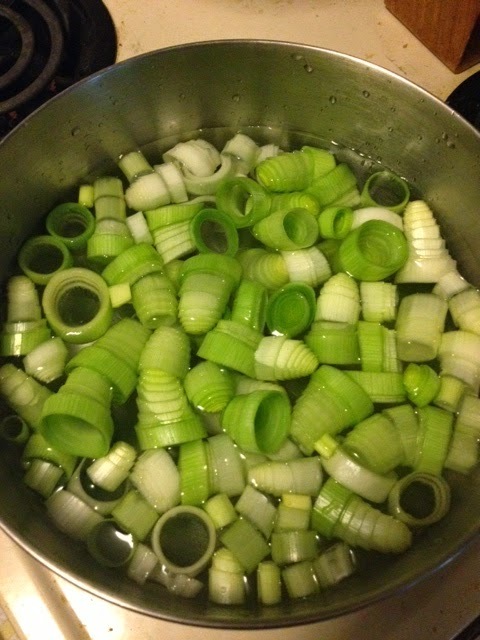 I love the bright green leeks and the way they look all cut up swimming in the water, like a bunch of teeny tiny leek inner tubes. 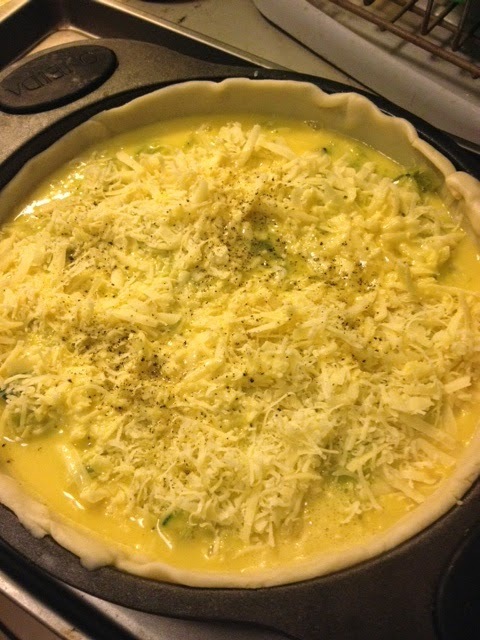 I'm not exaggerating when I say that this is one of my favorite quiches I've ever had. It was the perfect combo of sweet and savory! 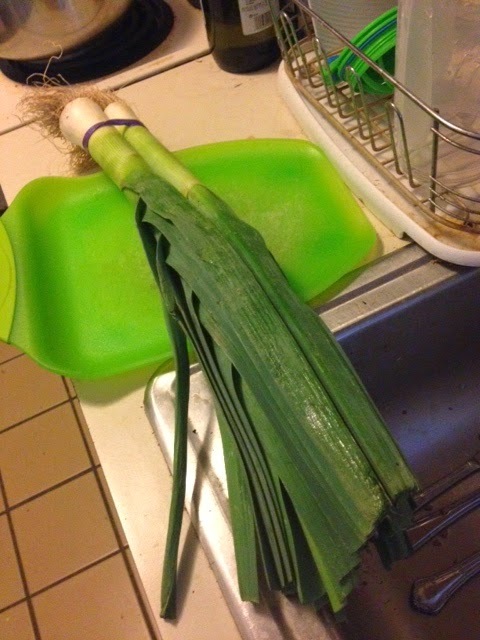 I'm nervous to cook with leeks though. Girl, you're so silly. Leeks are not intimidating at all. Just wash them thoroughly and you'll be fine. You can do it!! !